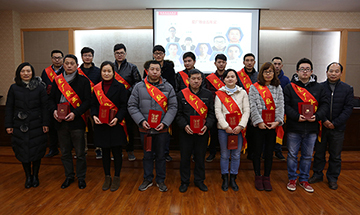 In shangrao in jiangxi province on November 30, "crystal lead, win future" JinKo Solar supplier quality conference in 2016,First won JinKo Solar "suppliers in excellence" quality award for 2016. JinKo Solar with First since 2009, was the first to use our Anti PID series EVA film and Anti snail trails series EVA film products. Company products are excellent quality and performance to the height of the customer unit trust and recognition. As the industry's leading PV components manufacturing enterprises, JinKo Solar requirement for product quality extremely high. First the successful application of polyolefin packaging materials and white EVA products, fully meet the double glass components on the properties of encapsulation material specific requirements. 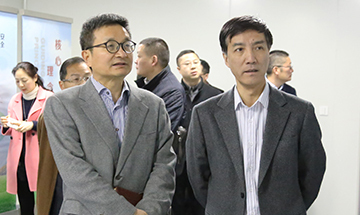 First , adhering to the "innovative technology for the future, the customer is supreme quality first" the management policy, photovoltaic industry has always been committed to provide quality products and first-class service, for customers to create greater value for the society.